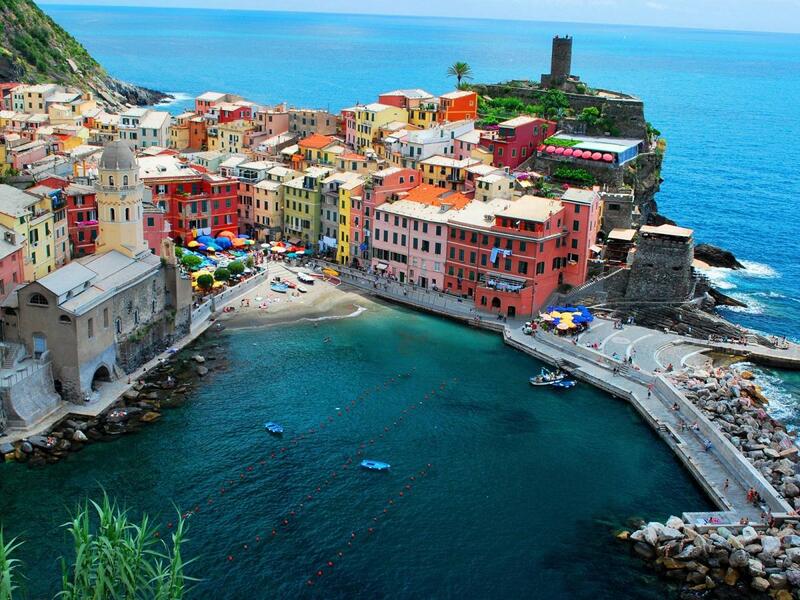 An area where land and sea come together in a unique setting. Eighteen miles of rocky coastline full of bays, beaches and deep, dominated by a chain of mountains that run parallel to the coast. 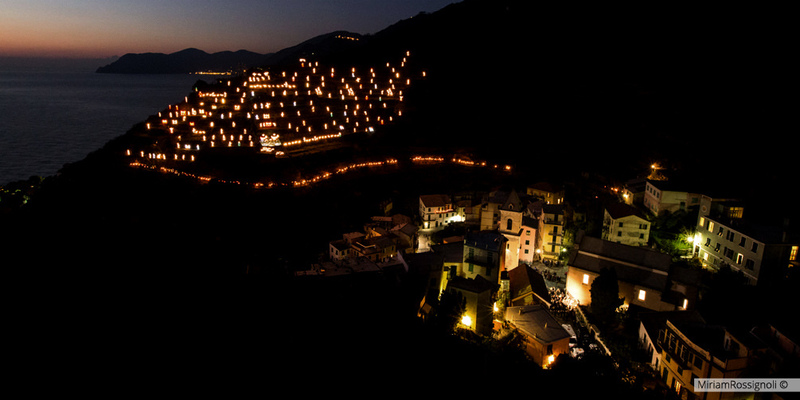 Paths and trails with breathtaking views surround the terraced vineyards and olive trees, which containment is provided by ancient stone walls. 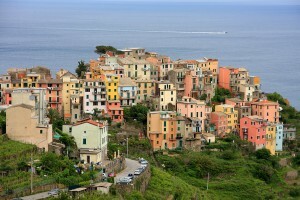 Five villages that border the sea: Monterosso, Vernazza, Corniglia, Manarola and Riomaggiore. 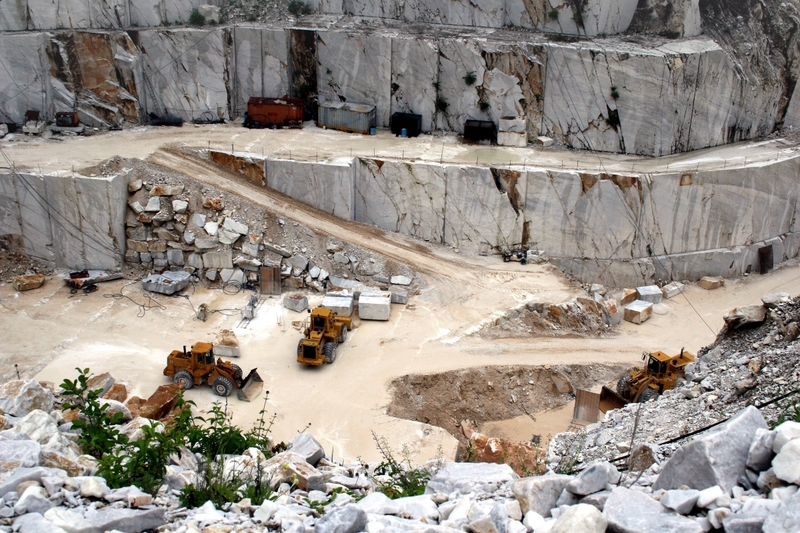 Just a few minutes drive you will find: Portovenere (15km), Lerici (15 km) and the city of Sarzana (20km), rich in monuments and palaces, the ancient Luni (25km) with the archaeological museum, the Versilia (Forte dei Marmi Viareggio) and the marble quarries of Carrara, where Michelangelo took the material for his statues. Riomaggiore is the easternmost of Cinque Terre. The storic city center dates back to XIII century and it is located in Rio Maggiore's valley, this is the river this city takes the name from. 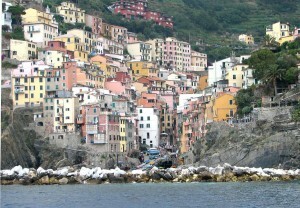 The village is located between two dales divided by one steep coast named Campiòne. 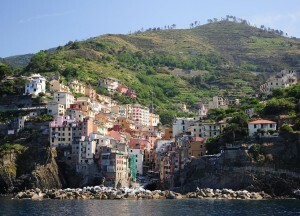 Over Riomaggiore's valley there is Monte Verugola that has three tops. 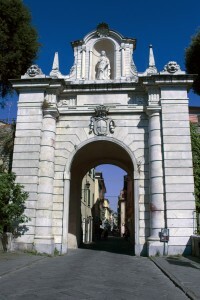 These tops are represented above the city arms, they are the symbols of this village. 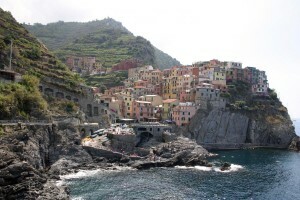 Manarola was born when Val di Vara's populations moved toward the sea to exploit its resources. 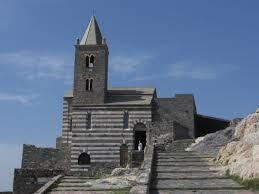 Maybe this name comes from latin words: Manium Arula that means 'small temple dedicated to Mani'. This village is located on a promontory on the top of the sea, in a gorge closed between two rocky spurs, that go down to the sea in a little harbor. 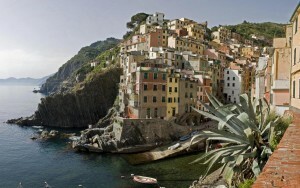 Manarola is a small just village but bigger than Corniglia, the least one. 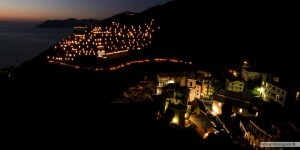 At Christmas, do not miss the crib lit rising its hill. 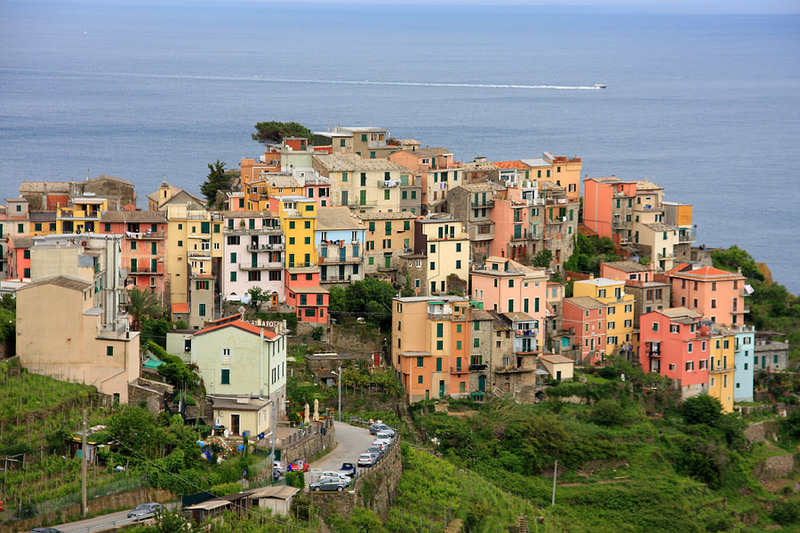 Corniglia is the least and central village, located east of Vernazza and Monterosso, and west of Manarola and Riomaggiore. It is the only village that doesn't overlook the sea, but it is on the tops of a promontory one hundered meters above the sea, in the middle of beautiful wineyards on Ligurian characteristic terraces. To reach Corniglia you have to go on a long scale 33 ramps long ( 382 steps) named Lardarina; alternatively you can walk through the street that links this village with his train station. 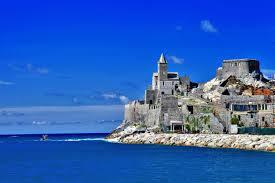 Between Corniglia and Vernazza there is a beautiful path among a rocky coast and a blue sea. Treading from west to east, there is Vernazza that was born on a little promontory perpendicular to the sea, you can reach the shore by S.S. Litoranea street. 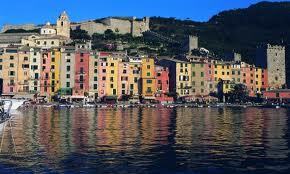 Name Vernazza can come from latin word verna, that means 'native', or it can be linked to his typical wine: Vernaccia. 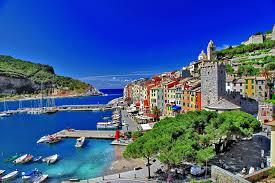 Some people think that Vulnetia was a latin family that lived here and has given this name to the city. His harbor is secure since the time of the Maritime Republics, It is located in a natural and characteristic cove that permits ships to dock here. 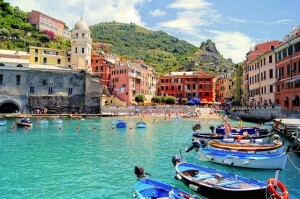 Vernazza is considered on of the most beautiful village in Italy. 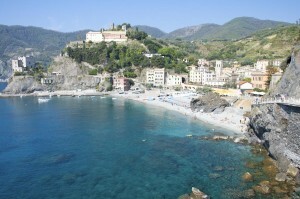 Monterosso is the westernmost and most populated city of 5 Terre. 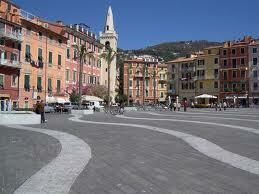 It has a strategical position: it is the center of three important streets: S.P. 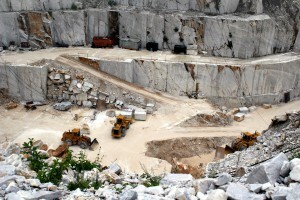 36 from Val di Vara ( linked to Aurelia), Litoranea and S.P. 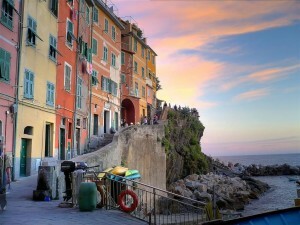 43 (from Levanto to Litoranea). 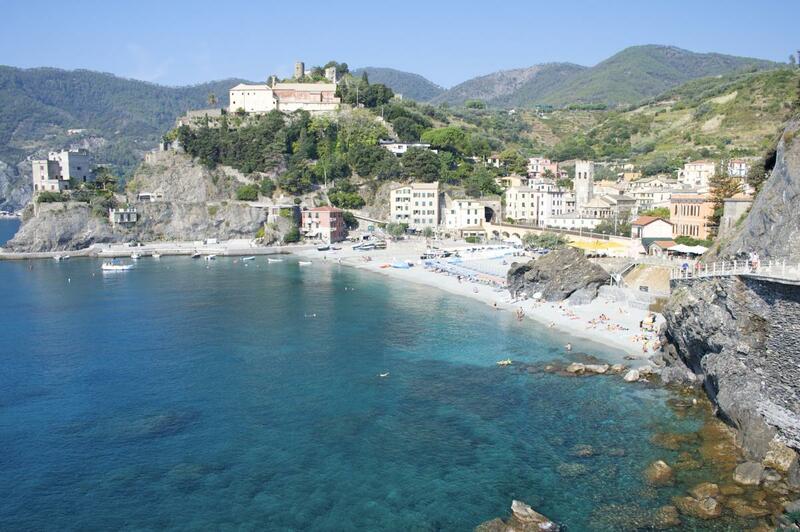 Monterosso is located in the center of a natural gulf, protected by one artificial reef. 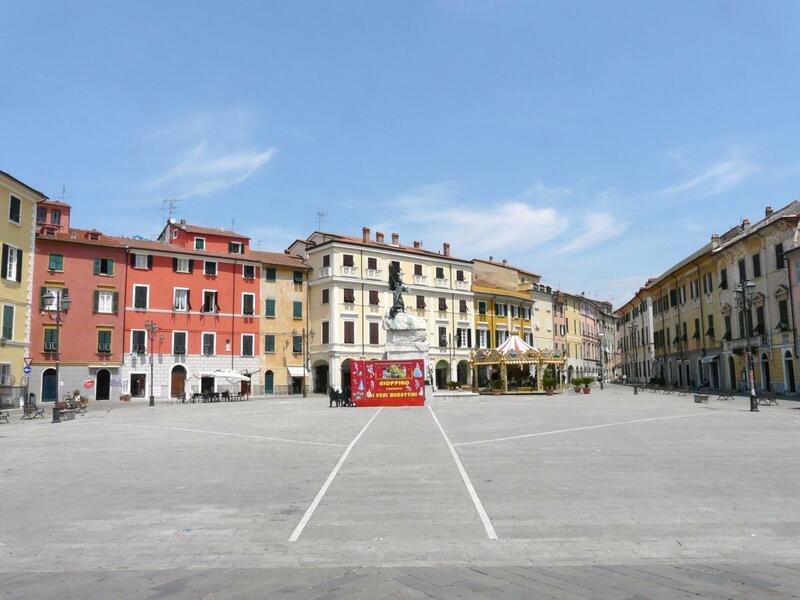 Over Colle dei Cappuccini, there is a village named Fegina, tourist and bathing locality where are train station and sandy beaches. 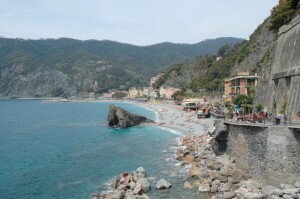 In Monterosso are the most extended beaches, due to his bigger gulf. 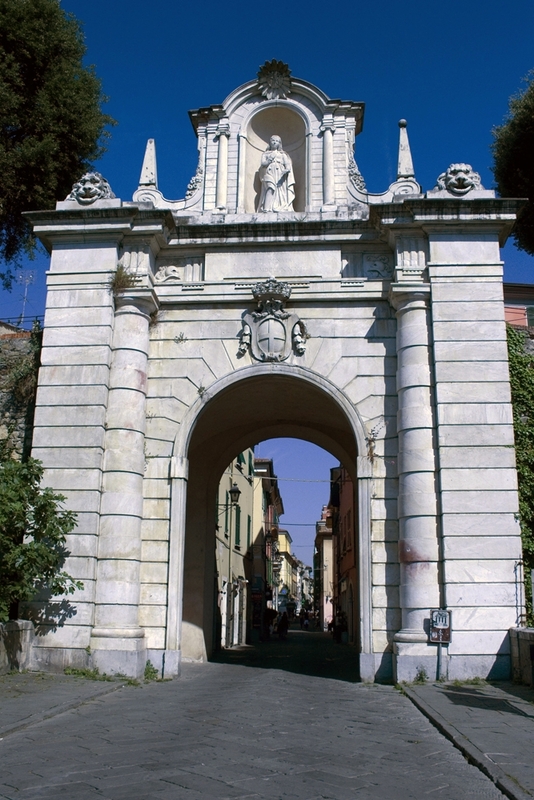 Sarzana was born in the end of Magra Valley, from the ancient Latin colony of Luni. This village has a medieval structure, you can still see the characteristic gates of his ancient walls. 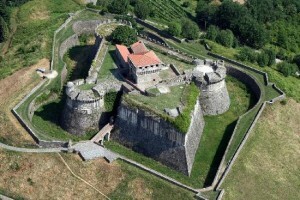 Inside his walls ther are many architectural gems: historical buildings, churches, monuments and fortresses of Sarzanello and Firmafede. 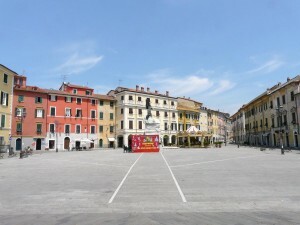 Sarzana is animated by many events about art, culture, artisanship. 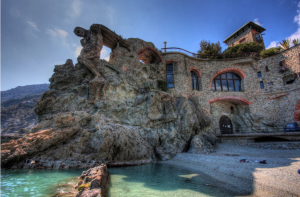 Festival della Mente is the best known. Lerici is the most famous seaside village of Liguria and north of Italy, many tourists come here throughout the year; His sandy beaches are ideal for holidays on the seaside. 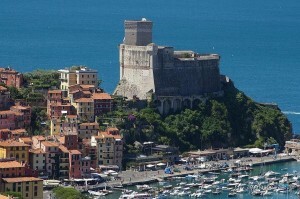 Gulf where Lerici is located extends from city center to San Terenzo Castle shutting their beaches in a romantic frame. 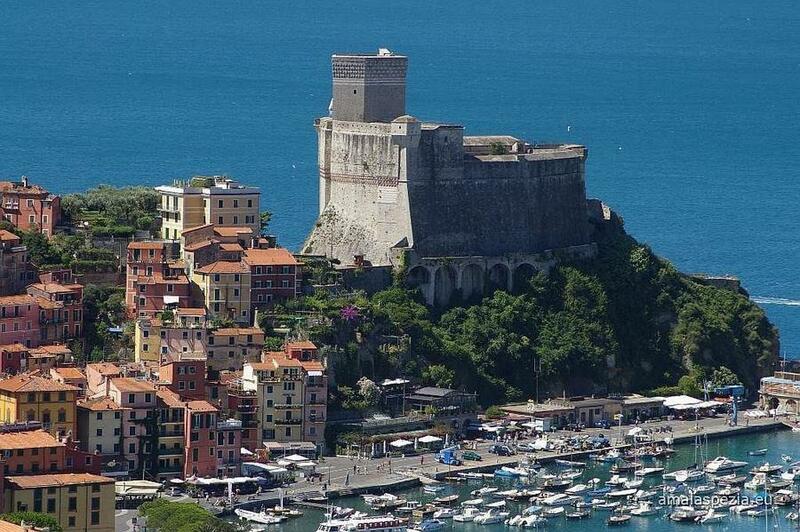 The village of Portovenere takes its name from a temple erected in honor of Venus in Roman times, built on the current promontory of San Pietro. 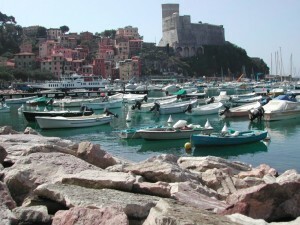 Picturesque fishing village, has a host of colored houses aligned along and constituting a village-medieval fortress Doria, unique in all of Liguria. 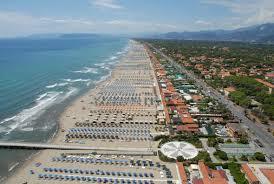 Forte dei Marmi is one of the busiest tourist areas of nightlife during the bathing season. 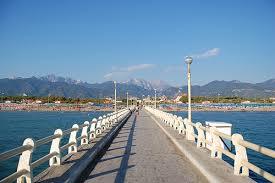 Already in 800 noble families of these areas came here to spend time on the beach and began to build luxury villas. The beautiful bathing establishments make the location suitable for families who want to spend days on the beach; at night instead locals come alive making Forte dei Marmi 'capital' of Versilia with his music and his nightlife.An inevitable trip is to the marble quarries of Carrara , not far from town.